Pre-Release Is Back for Rastakhan’s Rumble—And Rowdier Than Ever! Open your packs early and revel in some Fireside fun prior to the official launch of Rastakhan’s Rumble on December 4 by hosting your very own Pre-Release party! King Rastakhan has decreed that Pre-Release Parties will not be limited events. Whether you’re an established innkeeper or you simply enjoy the company of your community, step up to the plate and host a public Pre-Release party. If you prefer the comforts of home, you can also enjoy the festivities by creating an unlisted event! You can start planning your Pre-Release party now. Rastakhan's Rumble Pre-Release will run from 10AM PST on November 30 2018 to 10AM PST on December 3 2018. In addition to digging into your packs early, you’ll also be able to participate in special Fireside Brawls that let you play with your shiny new cards before the expansion’s official release. In Rastakhan’s No Cards Barred brawl, you’ll be able to construct decks using the cards that you open during the Pre-Release event. There are no restrictions on class or duplicates in this one, so you can harness all the mayhem of the Gurubashi Arena! There’s also A Royal Recipe, a pre-constructed brawl that will have new deck recipes from the upcoming set for you to play with! You won’t need to have pre-purchased packs in order to play this brawl. Maximize your Fireside Gathering experience by pre-purchasing your card packs for Rastakhan’s Rumble so you can enjoy both Pre-Release brawls! Your newly-opened cards will be viewable in the Collection Manager, but they’ll only be playable at a Fireside Gathering prior to launch. You also won’t be able to disenchant or craft cards until the expansion’s official launch. Kick things off by heading over to FiresideGatherings.com. Be sure to indicate if your event will be open to the public, or unlisted for just close friends and family. If you opted for a public event, hang tight while we process your admittance to the royal rumble registry! For those of you who want to host private Fireside Gatherings, detailed instructions are available here. 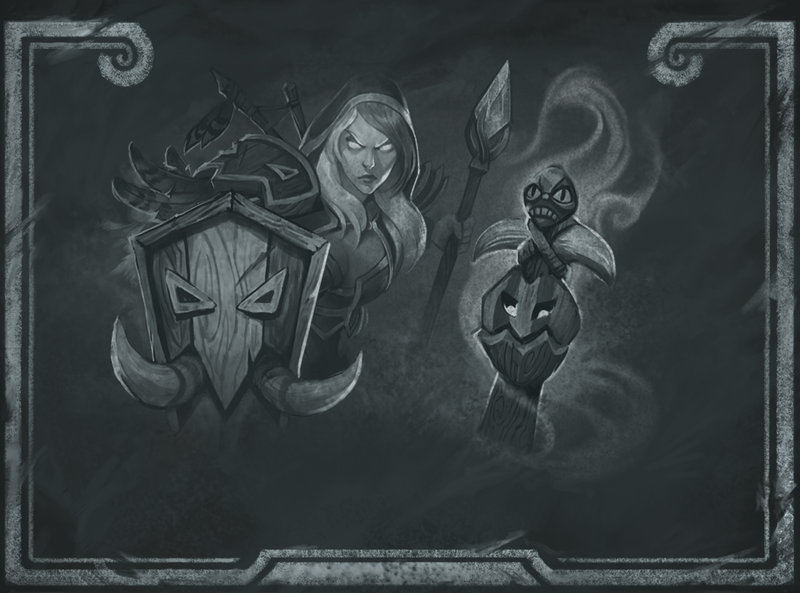 All Fireside Gatherings hosted during the Pre-Release window will have default access to the Pre-Release featured brawls, regardless if they are public or private. Share your event on social media (Facebook, Twitter, Instagram) with our nifty poster generator. If your event is private, download the poster and send it directly to friends you want to invite! Make sure you have enough chairs by the hearth (or seats in the Arena)! We can’t wait for you to try out the new cards, so look for a Pre-Release event closest to you and start rumbling. We’ll see you in the Tavern!